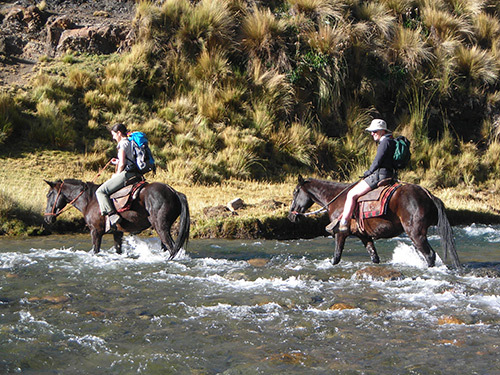 Visit traditional towns, archaeological monuments, and enjoy impressive views of the snowcapped mountains, while comfortably horseback riding. 1 day trips cost based on 2 people. Multiple day trips based on minimum of 3 people. Please contact us for detailed pricing, Itinerary and program information. 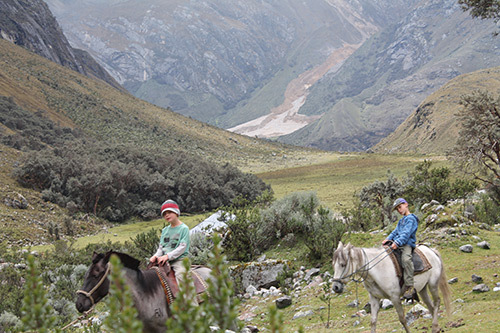 Day hike for acclimatization around of Huaraz. 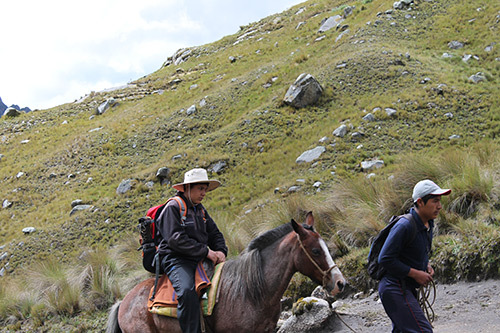 Transport to and from Huaraz. Horse with all the necessary equipment. All meals during the expedition: 05 meals. Breakfast, Snack, Lunch, tea (hot chocolate, pop corn, salad of avocado) and Dinner. Coca tea every day in the morning to wake up. "Hot wine the last night"
Camping Equipment: Cooking tent, Dinner tent, Toilet Tent. Sleeping tent (3 people tent for 2 clients Sierra designs, Eureka). 02 sleeping mats per person (inflatable and classic mattress). Table, chairs, Stove, gas, and all kitchen utensils. 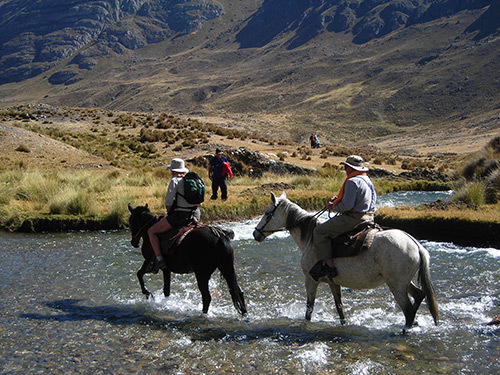 Pisco sour and souvenirs for celebrate your expedition. Banner with your name and of the trek. Return from our tour before the arranged date: transport, food and possible accommodation costs (also for staff) and Tips. Dinner on the last night.